Dr Lois Oliver studied English Literature at Cambridge University, and History of Art at the Courtauld Institute, completing an MA in Venetian Renaissance Art and writing her doctoral thesis on The Image of the Artist, Paris 1815-1855. She worked at the Harvard University Art Museums before joining the curatorial team at the V&A and then the National Gallery where she co-curated the major exhibition Rebels and Martyrs: the image of the artist in the nineteenth century (2006) and a series of touring exhibitions. 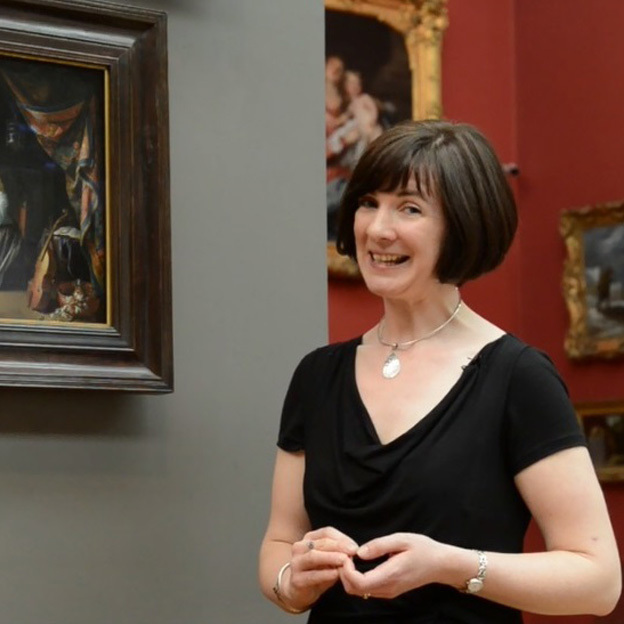 Currently Assistant Professor in History of Art at the University of Notre Dame in London, and a Visiting Lecturer at the Courtauld Institute, she writes audio and multimedia tours for clients including the National Gallery, National Maritime Museum, Royal Academy and Tate, and has appeared on TV programmes for the BBC and Channel 5, as well as broadcasting on BBC Radio 3 and Radio 4. Also a keen violinist, she plays regularly with orchestras including the Endellion Festival Orchestra.